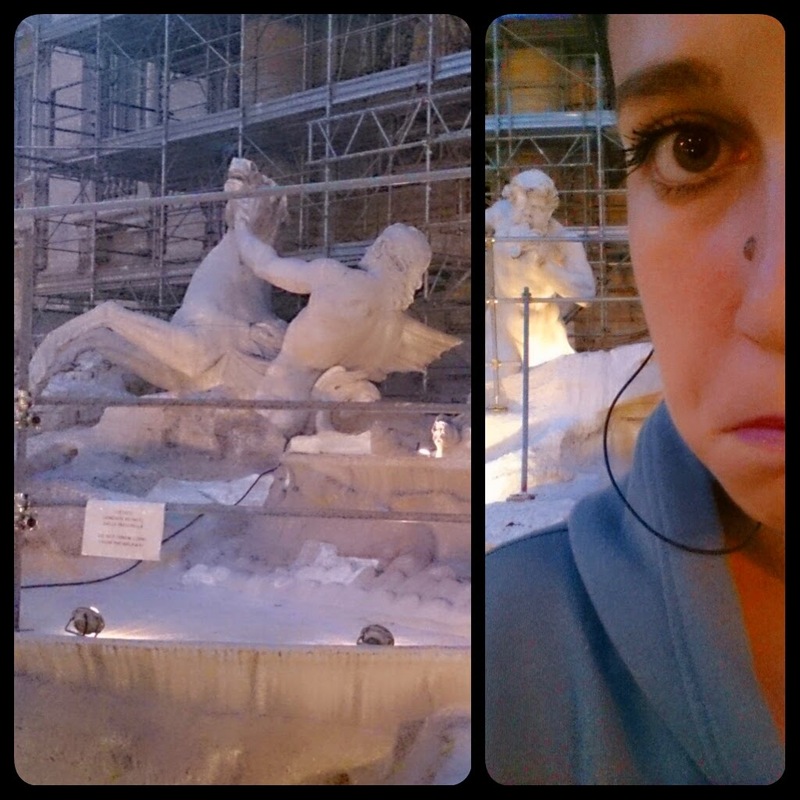 ISA.on.the.way: Fontana di Trevi? Not really. Fontana di Trevi? Not really. 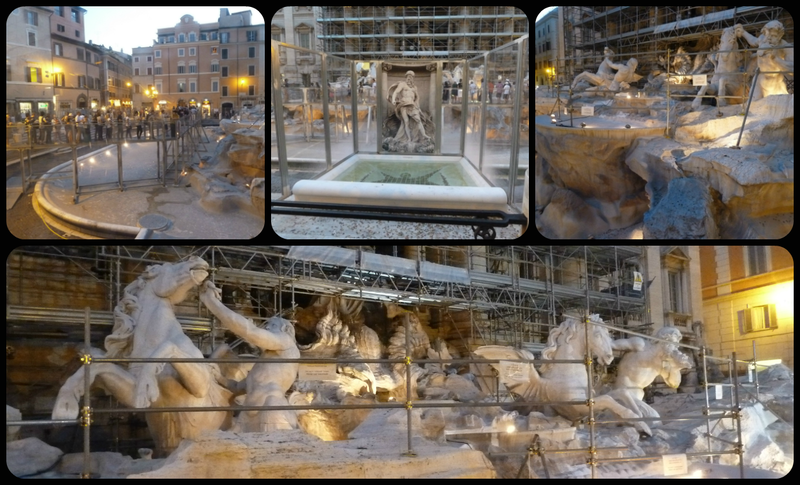 We recall that yesterday I walked to Piazza di Trevi but left immediately because there were too many people. Today, after my extravagant dinner, I felt the need to move some more, so I decided to give the fountain another shot. 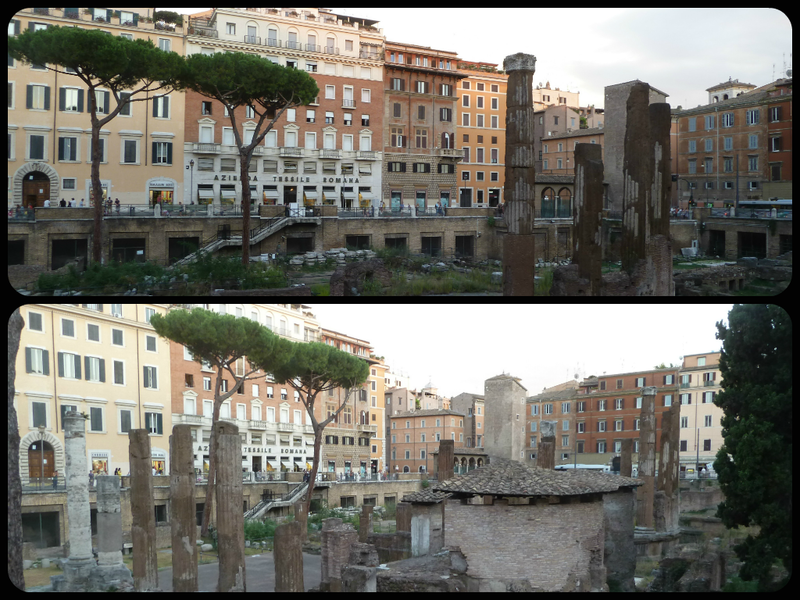 It was a nice walk to Trevi and I saw nice things on the way that I hadn't noticed before, like the big ruins some four minutes from my hotel that I've already walked past about three times without actually seeing them. But when I reached my destination I was shocked. Why? No fountain! There's some kind of construction going on on the square and the fountain has completely been drained of water and you can't walk up to it. You have to shuffle around it, almost in single file, on a metal walkway. It's depressing, seeing all those coins just lying on the bare, dry ground. Like dead and forgotten dreams. To cheer myself up after this terrible mood-killer, I took a detour on the way back and went by the Pantheon again. If only it had still been open, it must look wonderful in there, with less or no people and the pale moonlight spilling in from above... poetically beautiful, isn't it? Now, three hours and six picture-less blog posts later, I am very much ready to go to bed. After all, tomorrow is another day and who knows what Rome has in store for me (and, by extension, you) on a Sunday! A night with Harry Potter. San Pietro - the basilica. San Pietro - the square. Castel Sant'Angelo has a poltergeist!!! Roma Day Three: a good start. From A to B, via history!